In his post titled In his post titled Project Managers’ New Role as Social Facilitators , Rick Freedman explores the need for project managers to shift their role from “managing tasks to managing interactions and collaboration.” Freedman references the research of Morten Hansen, a management professor at UC Berkeley, who extensively studied the relationship between collaboration and innovation. According to Hansen, project managers must radically change the way they think about management: “Rather than proceeding as if all intelligence flows from the top of the organization or project team, collaborative project managers look at the dispersed network as the source of innovation and creativity.” When a social framework is applied to project management, and collaboration is promoted at the core, business processes are made more visible and transparent throughout the organization. Project managers become an integrated part of the organization and with increased collaboration they can get and communicate more realistic insights from various stakeholders. Silos and isolation are eliminated and everyone knows what the project is about and how it is progressing. So that’s “social project management”. Project managers must become “global connectors”. The term being a “connector” was coined by Malcolm Gladwell in The Tipping Point and is used by Freedman to describe people with “outsized influence based on their social reach”. This means that project managers who have a social reach far beyond the organization can harness fresh perspectives, and leverage new ideas into a social project management framework that stimulates collaborative innovation and creativity. Project managers must promote total stakeholder engagement. By encouraging the participation and input from all stakeholders, such as business partners, employees, and customers, project managers can “unleash previously untapped talent and expand the team’s perspective. 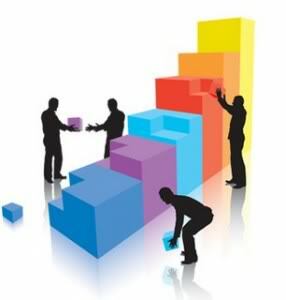 Increased stakeholder involvement in turn increases engagement at every stage of development. Social project management originates from the “top”.The shift from task-oriented to a more a social project management strategy needs to be fully encouraged and practiced by the entire organization. Product managers have to look up, way up, to executive leaders within the organization to drive the process downwards. Hansen believes that project managers “must work to encourage their sponsors to remove barriers to collaboration, and to explicitly discourage silos and fiefdoms from sabotaging the collaborative effort.” This concept is one of the most critical elements in social project management. Project managers no longer need to work alone on a few tasks, and gone are the days of blind decision making. Today’s product development process requires a collaborative team effort—everyone working together, on the same page. Project managers need to embrace this social change and help their teams adapt.